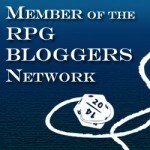 It's a BLOG Captain, but not as we know it. It is the time of fairy tale and fantasy. Knights of old do battle once again. 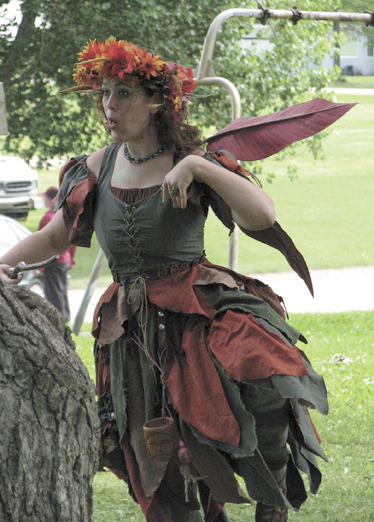 The Renaissance Faires of Iowa hold court in the Amana Colonies over the Memorial Day weekend every year. There are also three events in the Des Moines Sleepy Hollow Sports Park the first three weekends of September. European history and world culture were presented as edutainment for all age groups. The characters, theatrics and folkways of the 13th to 17th centuries were brought to life with a cast of 200 costumed role-players. 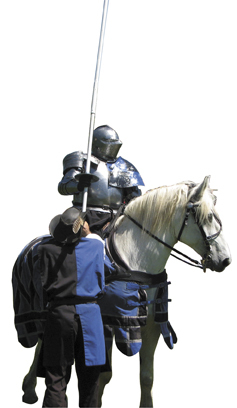 The true-to-life jousting matches, cultural exhibitions, and demonstrations entertained people from all over the state. Sir Broderick Geoffrey and Sir Roland Fallsworth of Joust Evolution preformed to a cheering crowd three times a day for the entire weekend. Sir Geoffrey cautions his younger fans that he has been jousting professionally for 20 years and he’s still learning. His opponent for the weekend, Sir Fallsworth tore a tendon in his hand on the last joust of the day on Saturday. Fallsworth has endured 7 major surgeries, 4 minor surgeries, and 300 stitches during his career. His advice is to not do this at home. The Brotherhood of the Steel is a volunteer organization that demonstrates sword fighting. Their members train for a year and half with wooden mock-ups before they are allowed to fight with metal swords. 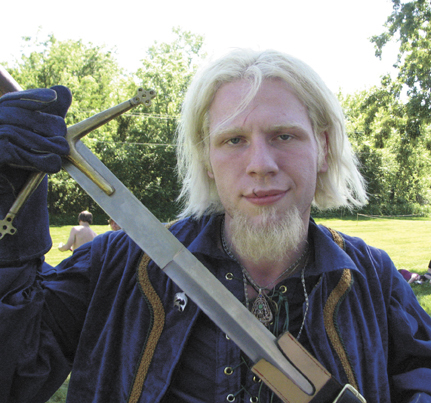 Stavolin, a Norse Guard has been sword fighting for more years than he can remember. He suffered an injury during the weekend and had his fight permit pulled. However, individuals can partake in other aspects of the fun. There are inter-active demonstrations of bow and arrow shooting, knife throwing, and foam sword fights. You can increase your fun by purchasing period authentic costumes from local vendors. Jewelry dealers, leather workers, steel smiths, and weapons specialists will help you complete your costume. A basic costume will run about $100 – $150 for a tunic, pants, belt, and blade. If you’d still like to attend a Renaissance Faire this year there are three weekends in September filled with medieval entertainment. The opening weekend of the 8th annual Des Moines Renaissance Faire brings Canterbury-on-Sherwood to life with knights in shining armor, warriors from ages past and the classic legends from stories of European lore. From the Highland Champions and their heavy lifting games to the archers of Sherwood Forest, the land of faerie tales and pre-American history (Great Britain) brings us entertainment, food and merchants from afar. Be thee Scot, Welsh, Cornish, Irish, Briton, English, leprechaun, elfin, faery, Shakespearian or are simply intrigued by these lively cultures, this weekend was created for lasting memories and the pleasure of all. The Queen’s Navy sails the high seas, yet docks at the Canterbury River, only to find freebooters of all sorts, both historical and fantasy. From Capt. Morgan to Capt. Hook and from sailing wenches to treehouse faeries, this is the weekend for all things of sea legend. Landlubbers beware as our castle town gets invaded by delightful characters from lands as near as the Caribbe and as far as Persia. Sleepy Hollow Sport Park is located just south of the Iowa State Fair, 4051 Dean Avenue, Des Moines, IA, 50317, contact Max Kenkel 515-262-4100 or max@sleepyhollowsportspark.com. 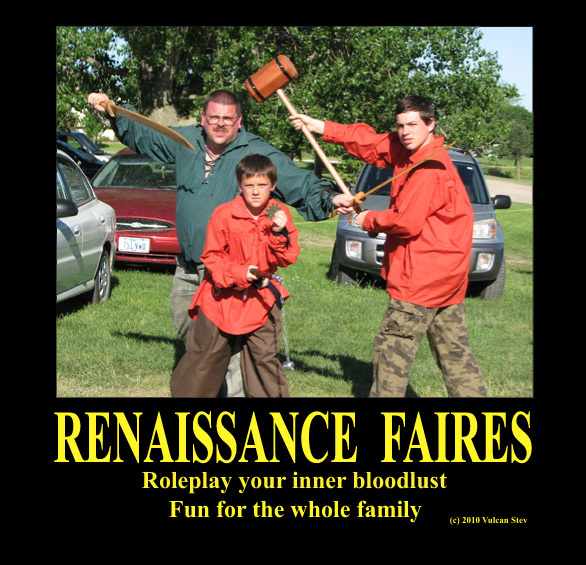 The web sites for the two events are http://www.dmrenfaire.com and http://www.sleepyhollowsportspark.com. Today marks the tenth day since my wife passed. Tomorrow will be the first game day we’ll have attended since she took her sudden turn for the worse. It will be a bittersweet day at best. Virginia loved game day. She had one character that she played no matter the game. Wink was our quiet little friend. Wink never fought any monsters. Wink never tangled with the bad guys. Wink never did anything but help us when we needed a point in the right direction and heal us when things took a turn for the worse. Wink was very much an extension of my wife. Virginia enjoyed game day at the Lawton’s. She would wear her fairy wings and bring her homemade fairy wand to nearly every session. It’s not so much that she was an RPG nut like her husband and kids as much as she just loved spending time with her husband and kids. 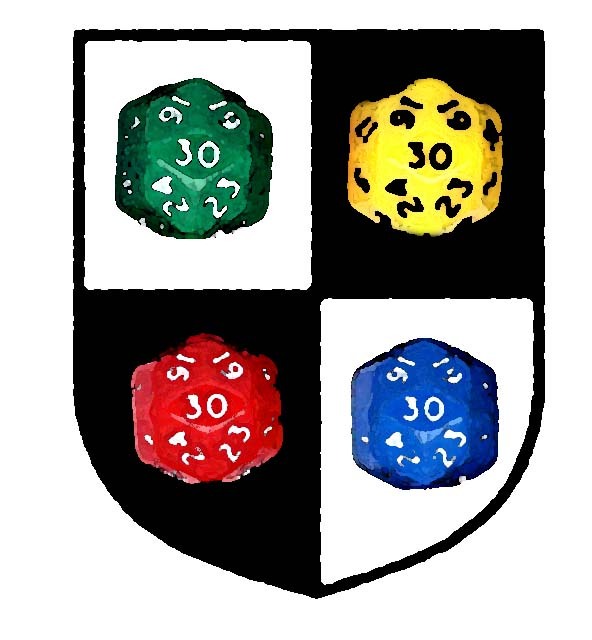 Virginia “enjoyed” playing RPGs as a family exercise. She really got into it. The costume is her own creation. We enjoyed having her there and she will be missed this Saturday (and all the other ones coming). Last year we discovered the Iowa Renaissance Faire that is held in the Amana Colonies every Memorial Day. We decided on a lark to go see it before Janae’ went off to Basic. Virginia was still undergoing chemo for the breast cancer but she wanted to go to “make memories”. We had a blast. So much that we had plans to attend the Ren Faire in Des Moines over Labor Day (we didn’t because Virginia was not feeling up to it.) This year, again plans were made to attend the Ren Faire. Virginia had gone out and bought herself boots. I also discovered that Virginia had set aside some money to purchase a Renaissance costume this year. I’ll admit that I am not much of an outdoors type. To me the outdoors is that necessary evil one is required to endure to get from building to building. However, the Ren Faire struck a chord with me. My beloved wife was actually looking forward to this year’s event. She absolutely enjoyed herself. We are going this year in her memory. Why do these two things stick together in my mind when thinking about Virginia? When Virginia had something that she enjoyed doing she went all out. 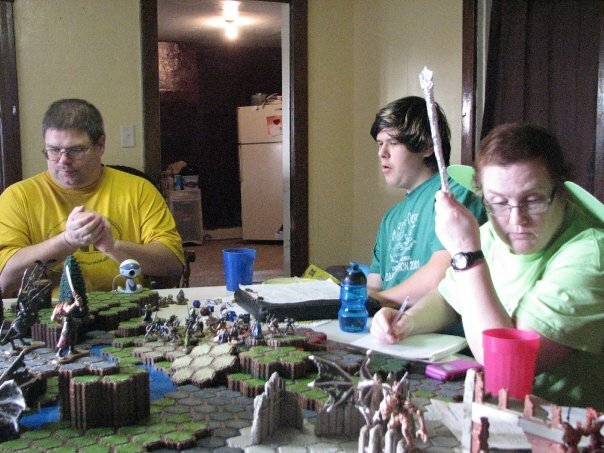 She enjoyed playing RPGs because her family enjoyed them and she went out of her way to fit in with that group. She enjoyed the Renaissance Faire, but enjoyed it more because her family enjoyed it as well. Virginia wanted to make sure that we would keep going to the Ren Faire. She didn’t want us to give up game day and we won’t. We will keep going to the Ren Faires in her honor. Greetings, welcome to the database of Stev, the Vulcan currently on assigment somewhere in the American Heartland. Enjoy your visit. It is a logical place to be.